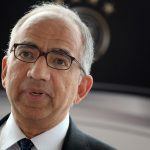 With less than two weeks to go before the 2018 World Cup kicks off in Russia, FIFA, the world soccer governing body, has booted the entire Saudi refereeing team over a match-fixing scandal. 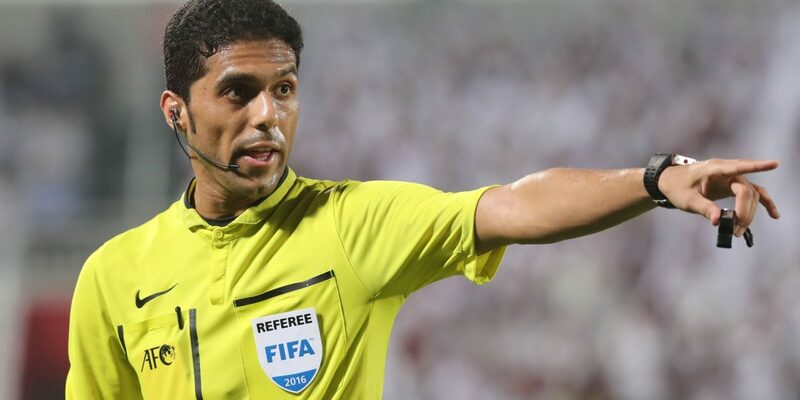 The news comes after Fahad Al-Mirdasi, who has served as a full international referee for FIFA since 2011, was banned from soccer for life by the Saudi Arabian Football Federation two weeks ago for soliciting bribes to help a team win a domestic cup final. As a result, FIFA said Al-Mirdasi and two assistant referees, Mohammed AL Abakry and Abdulah Al-shalwa, have been removed from the tournament “in line with FIFA’s overall philosophy of seeking to appoint match officials together as a team of three during the preparation” – although the assistant referees are not suspected of any wrongdoing. Al-Shalawa told the Arab News that the decision was “a nightmare” for him. “I have been working to go to the World Cup for 16 years but now it is over,” he said. While Al-Mirdasi had never officiated a World Cup match during his FIFA tenure, he has overseen games in the Olympics and the Confederations Cup. Al-Mirdasi is the second FIFA referee to receive his marching orders for match-fixing in the past 18 months. In March 2017 Ghanaian referee Joseph Lamptey was banned for life for “unlawfully influencing match results,” apparently at the behest of a gambling syndicate. Suspicions were aroused when the Ghanaian, who had a history of dubious decisions, awarded a penalty to South Africa for a non-existent handball during a 2016 World Cup qualifier against Senegal. FIFA ultimately ordered the game to be replayed. At a meeting of the Betting on Football Conference at Chelsea FC’s Stamford Bridge stadium in March, representatives of various soccer and gambling bodies warned that, while match-fixing at Russia 2018 was unlikely, the tournament was not immune to it. Are Soccer Referees’ Salaries an Integrity Issue? While match-fixers tend to avoid the highest-profile games because they are more difficult and more expensive to fix, the sheer volume of bets expected at this year’s tournament may make it harder to spot suspicious patterns. Meanwhile, Jake Marsh, head of integrity at digital media group Perform, told the conference that the perception that all soccer players are extremely wealthy and therefore less susceptible to bribes can sometimes be false. He said that following a friendly between two unnamed international teams last year, the visiting team was unable to pay its hotel bill. Referees, it should be noted, are less wealthy still. Elite officials in the English Premier League — the world’s richest — can earn a modest but comfortable £70,000 a year ($93,000). But in poorer leagues, like Ghana’s, for example, where Lamptey plied his trade, refereeing is still a part-time job where top officials earn around $150 per game.